A high quality aerial and correct aerial installation will make your TV quality look crisp and clear. It is important that you use the right TV aerial installation service so that your television experience is the best it can be. Adelaide Telefix know how to get the best quality picture for your TV, and have been installing TV aerials for years. We can upgrade your existing aerial to help provide better signal quality, or install a completely new aerial so that you get the best reception for your TV. It is important to have the aerial placed in the right location, because an incorrect position will encounter signal interference and will result in a lower quality image on your TV. If the aerial is placed around buildings, or other areas that will interfere with the signal, this must be accounted for so that the signal is the highest quality it can be. Aerials can also be faced in different directions, which may get different quality signals, so it is important to pick the right direction to face the aerial. 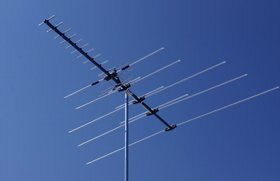 The tallness of the aerial can also change the quality of the signal, with a taller aerial being more likely to pick up a stronger and better signal. Adelaide Telefix has years of experience with aerial positioning, and so they can get the highest quality image for your TV. There are many different types of outdoor aerials, and the usage varies depending on the specific situation that they are being used in. A uni-directional aerial will receive a signal from one direction only, which can be very strong but may be subject to interference from that direction, which can lead to a lower image quality on your television. A multi-directional aerial is able to get a signal from more than one direction, which increases the likelihood of it picking up a signal, however there can be a possibility of interference from different areas. At Adelaide Telefix we will pick the very best aerial type for your specific situation, so you will get the highest quality image possible for your TV. 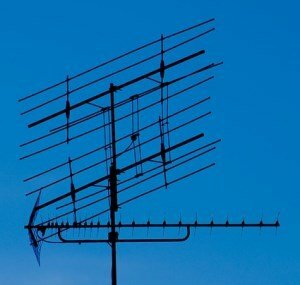 The installation of a TV aerial needs to take into account many different variables and situations in order to avoid interference and ensure quality reception. Contact Adelaide Telefix and our team of trained technicians will make sure your TV aerial installation is of the highest quality and gets the best reception, which will lead to a crisper image on your television. The technicians at our aerial service center can also fix TV aerials that are giving you problems, and install them for you to make sure that you get the best reception. Contact us at Adelaide Telefix today for high quality TV aerial installation.